Live pop music is becoming a luxury that some fans can’t afford. What’s pushing up the prices, and will it ever stop? These fans aren’t overreacting. Major pop concert ticket prices worldwide increase at a rate much faster than inflation, and that’s why each year they appear to be even more overblown. In North America, average ticket prices overall increased by 20% between 2010 and 2015. According to trade publication Pollstar’s end of year report in 2015, the price of tickets to live music hit an all-time high that year, with an average cost of $74.25. This decreased by 2% in the first half of 2016, but tickets for Drake, Adele, Rihanna, Beyoncé, and Lady Gaga still appeared on sale for hundreds, sometimes thousands of dollars. With the music industry reshaped by streaming, it’s a commonly accepted narrative that artists now make most of their income from touring rather than record sales. Many believe that this is why they push up the price of concert tickets. The fuller picture, though, is a bit more complex. Artists play a role in setting prices — but there's a lot of factors to consider. Staging is more extravagant than ever. As McDaniel put it, “Shows are getting bigger, brighter, and cost more. The ticket cost is a reflection of what you are getting to see.” In 2016, that certainly appeared to be true. 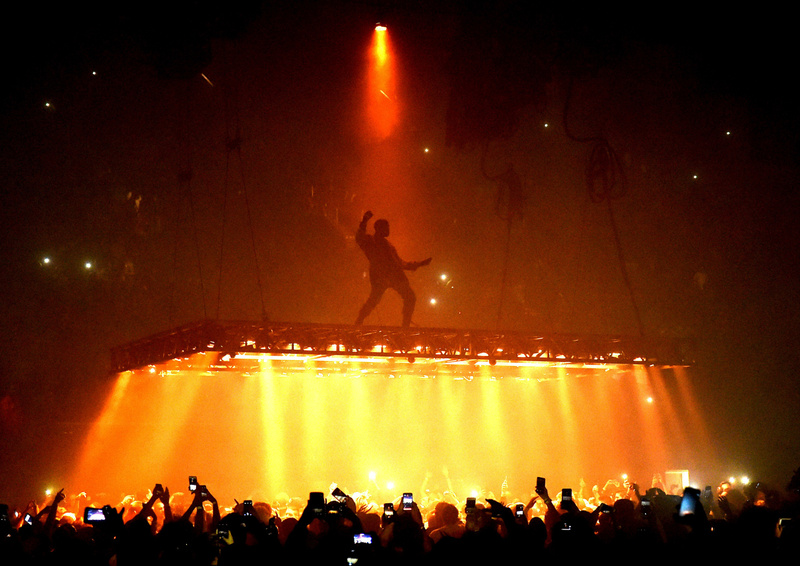 On his Saint Pablo tour, Kanye West performed on a flying stage. For the Formation tour, Beyoncé’s set included a revolving video screen the size of a small apartment building, a moving runway, and a second stage that stored 2000 gallons of water. Nobody likes a scalper. Obama’s decision to outlaw the ticket bots that are used to scoop up major concert tickets was widely praised in 2016. U.K.-based organization FanFair Alliance believes that scalpers, or touts, are exploiting the secondary market and “diverting millions of pounds” away from the music industry. Some artists have tried to take back a piece of the pie by scalping their own tickets; Beyoncé reportedly did so in 2012, while Justin Bieber and Katy Perry were accused of the same in 2014. Other artists have tried to squeeze scalpers out of the market. 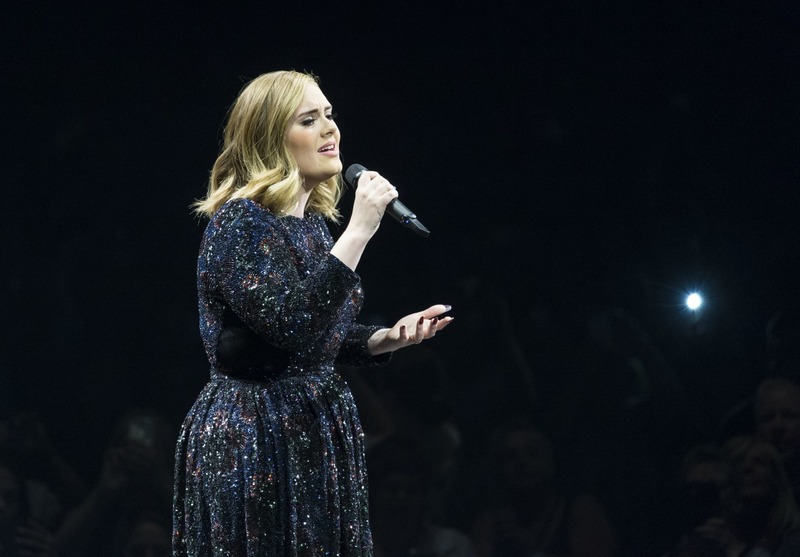 In 2015 and 2016, Adele teamed up with Songkick, who developed technology to identify and block 53,000 potential scalpers from buying tickets to her 25 tour. A Songkick rep revealed to The FADER in an email that this practice saved fans more than $50 million, with fewer than 2% of tickets appearing on secondary marketplaces (compared to the 20% standard for in-demand shows). However, StubHub, an eBay-owned secondary marketplace, told The FADER via email that they’ve seen prices on their site go down in recent years. “In the U.K., prices on our site have actually dropped by 25% since we launched in 2012,” wrote International General Manager Estanis Martín de Nicolás. “At any given time, 40% of tickets on StubHub sell for either face value or below.” Budnick noted that this could be because ticket retailers are all becoming pretty much alike — StubHub is moving into primary sales, and TicketMaster has its own secondary marketplace. As the two markets blur into one, it should create a “real-time corrective” of prices: secondary tickets should get cheaper, as primary tickets get more expensive, until in the end it’s all level. If this theory holds true, it could put an end to the rapid inflation of ticket prices. Booking fees are silent but deadly. Professor Michael Waterson, in his review of the U.K. ticket industry, argues that transparency would make these fees fairer on customers. StubHub tried introducing such “all-in pricing” in 2013, displaying the final price of a ticket (including charges) from the beginning. But they found it caused a decline in market share. “When we had all-in pricing, StubHub appeared to be more expensive than competitors,” wrote Martín de Nicolás. Even though customers hate last minute booking fees, seeing the full price from the offset makes them less likely to go through with a transaction. But cheaper tickets could be on the horizon. As ever, you can try hitting the pre-sales — available to credit card holders and fan clubs — as early as possible to grab the low-tier tickets. Alternatively, try the secondary market as late as possible, to scoop last-minute bargains. Perhaps consider traveling out of town to cheaper venues. To avoid booking fees, consumer publication Which? 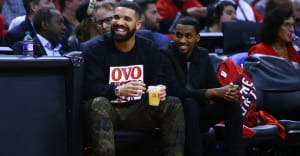 suggests buying tickets in person at the venue — though for major events like Drake’s Boy Meets World tour, which are sold through Ticketmaster on behalf of the venue, that’s not an option. There are, however, innovations springing up to challenge problems like the inflated secondary market and eyebrow-raising service charges. For indie shows, there’s Twickets in the U.K., a fan-to-fan secondary market that keeps all prices at face value, and TiqIQ in the U.S. — an aggregator that allows you to compare prices on the secondary market, making it easier to spot the best deal. Also in the U.K. is Dice, a ticketing app that eradicates booking fees. For major arena tours, you might have some luck with TickPick, where second-hand tickets to see artists like Kanye West and Ariana Grande sell via a bidding system, and only the seller (not the buyer) pays a service charge. Country fans in the U.S. might consider buying a Country MegaTicket, which acts like a cost-cutting season ticket to selected country shows hosted by Live Nation throughout the summer. In Ticket Masters, Budnick and co-author Josh Baron posited that the secondary market would soon reach a “relative peak,” predicting that it would soon shrink and that prices overall would stop increasing. Asked over email whether this was still the case, Budnick doubled down. Sure, there are still exceptional stories about Adele tickets being listed for thousands, but Budnick believes that ticket prices are not going to keep astronomically rising. “While they may inch up in conjunction with general cost of living increases, it does seem that prices will generally hold. The conflation of the primary and secondary markets has eased some of the pressure.” If Budnick’s right, major ticket prices should soon begin to level out, hopefully before any more fans get left behind.